Sometimes children’s cartoons can tell you more about reality than the so-called reality-based TV, given the latitude of action that executives have when they’re programming your children. In fact, the very word “programming” tells you just about everything that you need to know about the true function of television. And, when you consider how thoroughly brainwashed and brain dead millions of people in this country are, I would say that the greatest mind-control device (TV) the world has ever known is working quite well in this capacity. 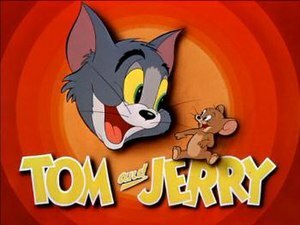 While Disney remains the undisputed king of mind-control programming through their many movies, TV shows, and theme parks that incorporate subliminal messages throughout- I found an interesting YouTube clip of a “Tom and Jerry” cartoon that gives me the impression that maybe all this talk about the Illuminati using Hollywood and other media to subliminally program people (particularly kids) isn’t so far fetched after all. What’s striking about this short video is how brazenly open that it depicts known symbolism associated with the Illuminati/NWO such as the pyramid with the All-Seeing-Eye that acts as both an intercom system and a headdress for the soulless corporate executives in this scene. Although I suspect that some may assume that this is just a form of artistic license, I can tell you that Hollywood insiders like Roseanne Barr, Corey Feldman, and Dave Chappelle will beg to differ on that account. Think about what these celebrities are saying first before you pass judgement. Roseanne talks about MK-ULTRA in Hollywood. This would seem to explain why people like Britney Spears, a former Mickey Mouse Club member, might have such a public meltdown given what we know about trauma-based mind-control. 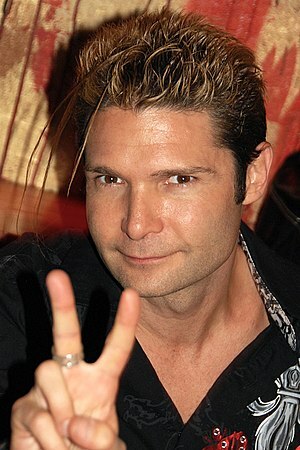 Corey Feldman says that the #1 problem in Hollywood is “pedophilia” and he claims that he’s going to release a book soon that names two of his childhood abusers. His close childhood actor friend Corey Haim was apparently one of its many victims, which quite possibly led to his death. Finally, Dave Chappelle famously walked away from $55 million and a 3rd season of Chappelle Show on Comedy Central skirting out to Africa. So, perhaps (if you have any kids of your own) you might want to ask yourself- “Just what kinds of messages are my children absorbing these days from these TV shows and movies?” And, if you’re an adult, you might want to ask yourself- “Just who are these people that are really running Hollywood and TV studios these days?” You might be surprised what you find.